Btw, did you know I'm a helicopter pilot? I have this 30€ helicopter from Clas Ohlson and I can totally land it on a dime. I mean, a two-euro coin. On a good day. But usually at least on the living room floor given enough room for maneuvering. My daughters, of course, share my passion for aviation. 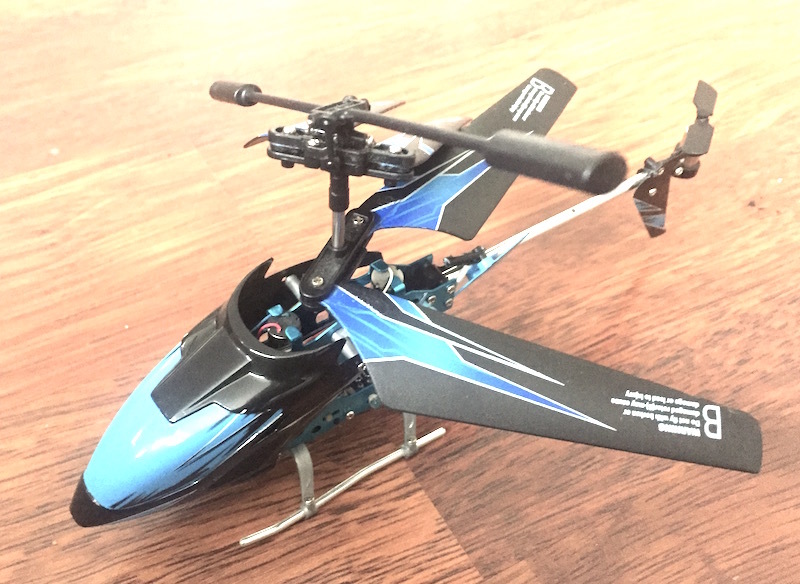 I also have a spare chopper that has one of its main engines busted (not at all caused by a crash landing on my part). Or at least, had until today when my daughter wanted to build her own boat with a motor. So we had a long discussion about boat design, like, how should the weight be distributed (down), where the water line goes when it floats (dunna), where should the motor and the propeller be placed (down), how to make sure the axle hole won't leak water (grease?) and so on. 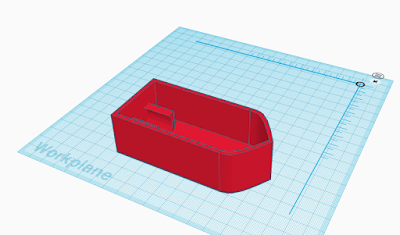 Then she draw her boat with Tinkercad, with the intention to print it with our 3D printer. Here's how the design looks as of now. The design contains fittings for a little motor I had earlierly salvaged, that's something like 30*20*15 millimeters big. You might notice that the motor compartment looks big for the tiny boat and the propeller placement isn't perfect: it'll be hard to get the whole propeller underwater. We are not boat engineers are we? Then I remembered the spare chopper. It still had two (working) ultra-tiny motors, a control board and a Lithium Polymer battery onboard so it might be the perfect technical platform for the new little boat. So, we stripped all the unnecessary parts from the chopper and here's what we have now. 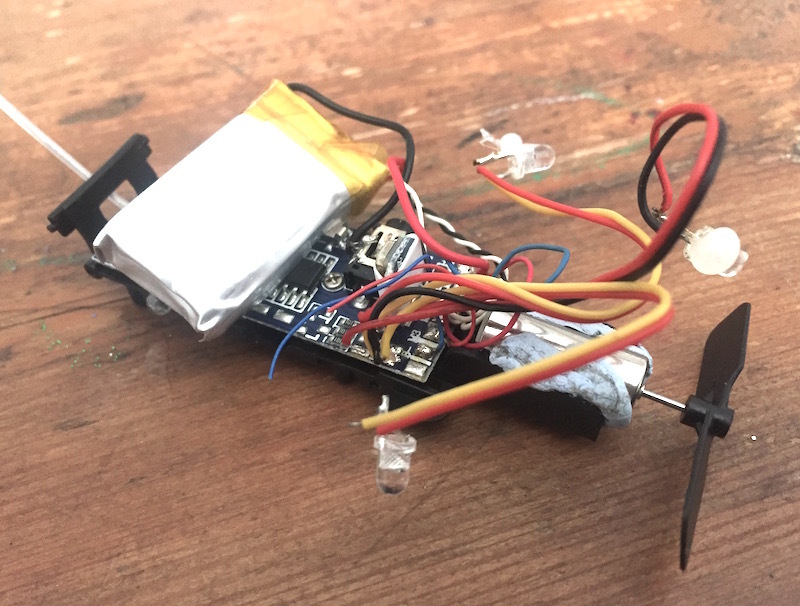 A nice radio-controlled motor-controller-battery package salvaged from a broken chopper! Let's see what comes out when we print the hull and combine it with the motor package. Do you think it'll float or sink?